Cantigny Park invites amateur photographers to enter their best images in the Cantigny in Focus annual photo contest. The submission deadline for entries is Wednesday, November 14. Submitted images (maximum 10) must be from the grounds of Cantigny Park or Cantigny Golf in Wheaton, the 500-acre former estate of Robert R. McCormick. Pictures taken in 2018 or earlier are eligible. Cantigny-appointed judges will select 20 images for public display in the park’s Visitors Center Gallery. Judges look for photographs that best represent the scope of Cantigny, including gardens, museums, special events, festivals, golf, adult and children’s programs, concerts, military events and nature. The entries chosen for display will be enlarged, professionally framed at Cantigny’s expense and returned to the photographers at the end of 2019. Top finishers also receive a free annual membership to Cantigny Park. Winning entries will be on display starting February 1, 2019. Park visitors may then vote for their favorite images through December 29, 2019. Owners of the top three vote getters will be rewarded. Full details about Cantigny in Focus, including rules and official entry form, are available online at Cantigny.org. Questions may be directed to Brian Gray at 630.260.8167 or bgray@Cantigny.org. 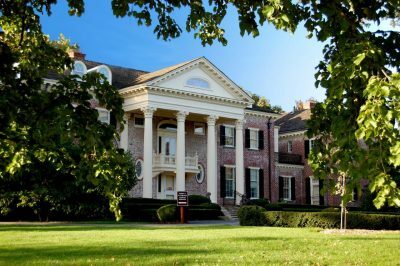 Cantigny Park, part of the Robert R. McCormick Foundations, is the 500-acre Wheaton estate of Col. Robert R. McCormick (1880-1955). It is home to the McCormick House, First Division Museum, display gardens, picnic grounds, walking trails, and a Visitor Center with banquet and dining facilities. More information, including hours, directions, and upcoming events, can be found online at www.cantigny.org. Cantigny Golf, adjacent to the park, features a 27-hole championship golf course, clubhouse with banquet and dining rooms, Cantigny Golf Academy, and the 9-hole Cantigny Youth Links. For more information, please visit www.cantignygolf.com.